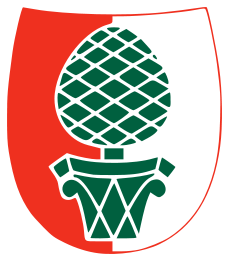 Augsburg in the Holy Roman Empire became a Free Imperial City. The city was founded in 15 BC in the reign of Roman emperor Augustus as a garrison called Augusta Vindelicorum. Around 120 AD Augsburg became the capital of the Roman province Raetia. It was laid to waste by the Huns in the fifth century, by Charlemagne in the eighth, and by Welf of Bavaria in the eleventh; it rose each time only to greater prosperity. In the Holy Roman Empire, a free imperial city (in German: freie Reichsstadt) was a city formally ruled by the emperor only — as opposed to the majority of cities in the Empire, which belonged to a territory and so were governed by one of the many princes (Fürsten) of the Empire, such as dukes or prince-bishops. Free cities also had independent representation in the Reichstag of the Holy Roman Empire. To be precise, a distinction on paper was made between imperial cities (Reichsstädte) and free cities (freie Städte). Free cities were each formerly governed by a prince-bishop but had gained independence from their bishop during the High Middle Ages. They were Basel (1000), Worms (1074), Mainz (1244, revoked 1462), Ratisbon (1245), Strasbourg (1272), Cologne (1288) and Speyer (1294).